Are you ready to run like hell? Devil Dash is an extremely popular mud run that features lust, gluttony, greed, sloth, wrath, envy, and pride. At least that is what the web site says. Sound fun? Well, apparently it is, Devil Dash had an aggressive 2012 schedule and 2013 is rumored to be even crazier! We look forward to continuing to print these custom mud run bandanas for this event and look forward to seeing all the great people that run in this event wear our bandanas. Keep rocking the rad Devil Dash! 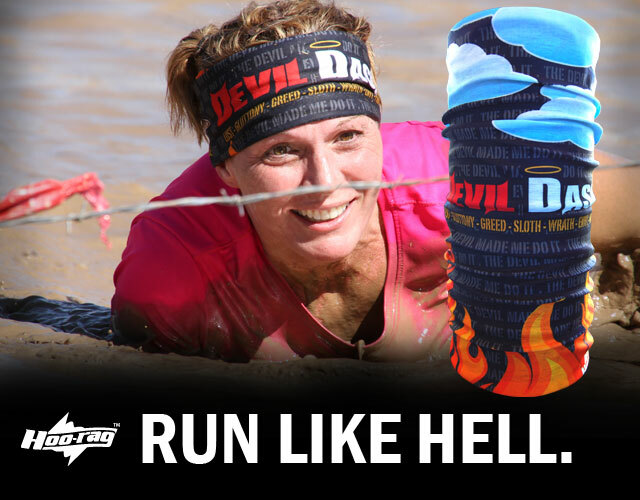 For a complete schedule visit www.devildash.com. Their next event is on March 22nd and 23rd in Sin City. Vegas anyone?